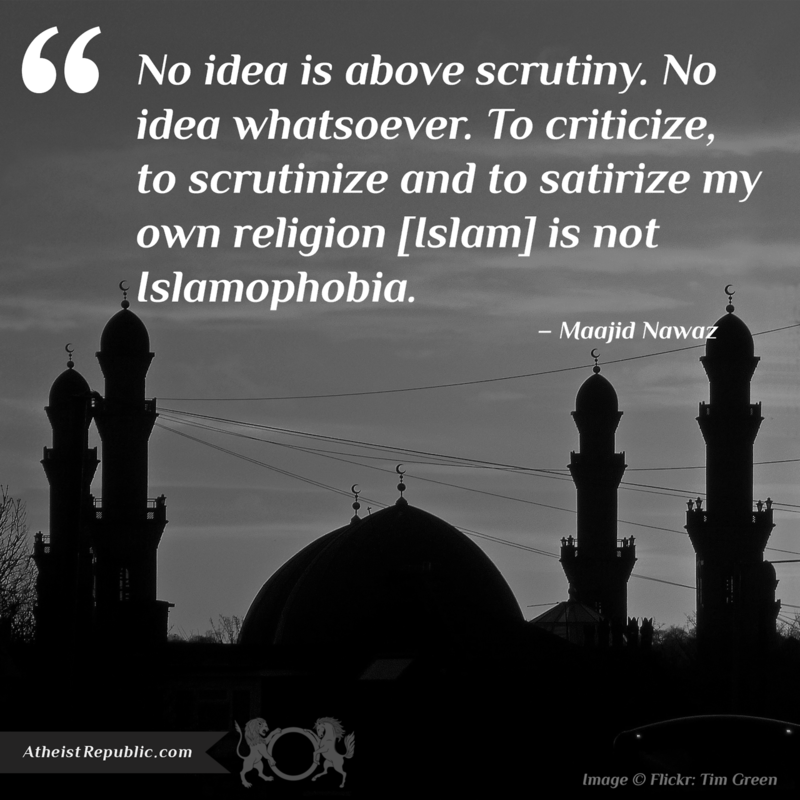 Nothing is above scrutiny… not even religion. To question Islam for being sexist, racist, homophobic and just outright discriminating to everyone is not racist… it’s being a responsible human being. Lashing someone 50 times a day just for being an atheist is not right. Forcing women to cover their heads and not allow them to speak is sexist and degrading. Executing people for loving someone you don’t approve of is evil and it’s not racist to point out these injustices. This was one thing Ben didn’t seem to grasp. Arguing the flaws of an organized religion is NOT RACISM. Sam Harris is right; Islam is not a race, it’s a creed. And like all other creeds, Islam is fair game and is not immune to criticism. 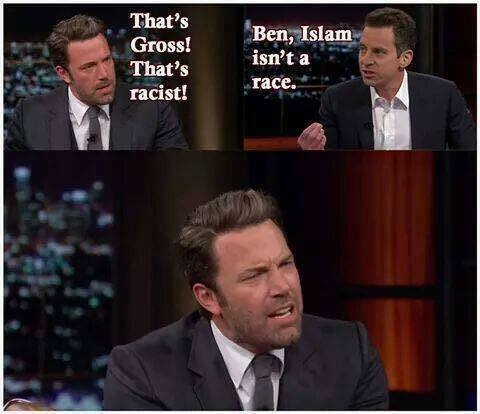 Bill Maher was lucky to have Sam Harris there with him to fend off Affleck’s off key rants. To spread a little reason into the dialogue instead of replying to rant with a rant.